Another wonderful thing about REBBL is their commitment to the non-profit Not For Sale. REBBL was founded in partnership with Not for Sale (NFS). NFS was looking for a way to have a lasting positive impact on a native community in a particular region of the Peruvian Amazon, where residents were vulnerable to human trafficking. To effort to help fund NFS’s mission to eliminate human trafficking in several vulnerable areas around the globe, REBBL has committed to donating 2.5% of all sales back to NFS. As the product line has evolved (from the initial tea tonics to the current coconut milk-based elixirs), NFS continues its partnership with REBBL by ensuring a responsible and ethical supply chain. REBBL made a commitment to sourcing quality real food ingredients from trusted growers and suppliers in native communities while honoring ancient traditions for wellness in crafting their super herb elixirs. 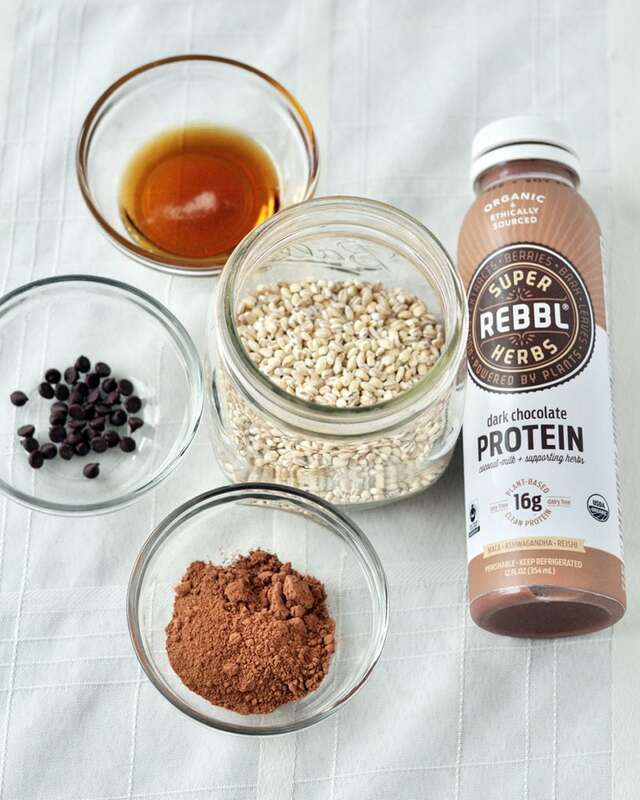 I also love that REBBL uses maca in many of their coconut milk elixirs. Maca is a root comes from a plant in Peru. It has many health benefits. One of the great benefits it has is that it can give you energy. Unlike caffeine, maca will give you energy without the jittery effects. Some other facts about REBBL coconut milk elixers: They are organic, fair trade, made with real ingredients, and contain whole ingredients and herbs. And who really wouldn’t want chocolate for breakfast? Especially when it’s healthy and satisfying, but it tastes like a decadent dessert. Yes please! REBBL drinks come in many other flavors as well. Check the website for a complete list. You can also follow them on Facebook, Twitter and Instagram. 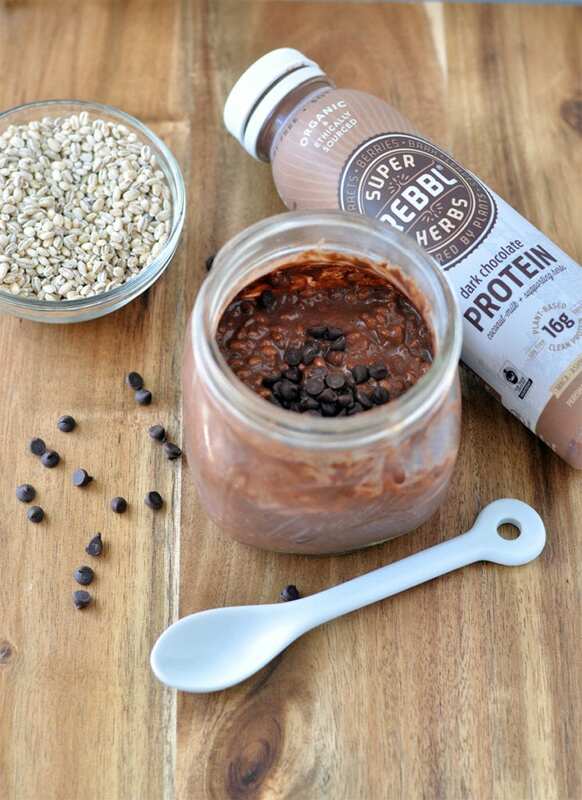 To find REBBL products near you, you can check out their Where to Buy page here. 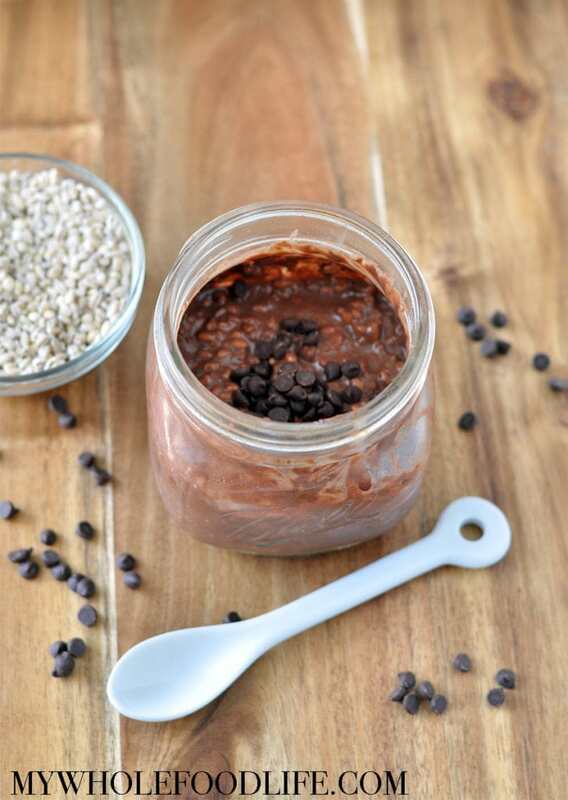 The healthy breakfast that tastes like dessert! Mix all ingredients in a jar. Stir well and cover. In the morning, stir well and serve. If the mixture looks a little thick, you can always add a little more of the drink. Enjoy! How about a recipe that shows how to do this without a specific prepared product? how much chocolate, coconut milk of what kind, type of protein? etc. This looks delicious! I love the Rebbl drinks.